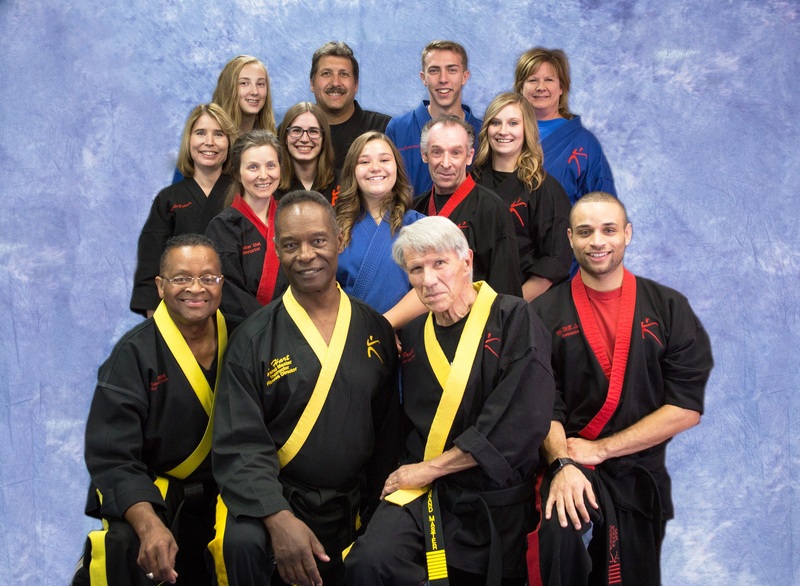 The dedicated staff of 5280 Karate Academy Foundation creates a robust team of instructional experts for karate, self defense, early childhood, bully proofing, fitness, discipline, defense, and success! We live by our black belt creed: modesty, courtesy, integrity, perseverance, self control, and indomitable spirit. Scroll down to learn about our team! Brett Hart is an 9th degree Black Belt Grand Master, with 39 years of experience in martial arts, and 15 years National Fitness Certified. He is an undefeated three time national NASKA Sparring Champion. Robert “Master” Lewis’s life is sort of like the martial arts he teaches; every move, and every strategy. 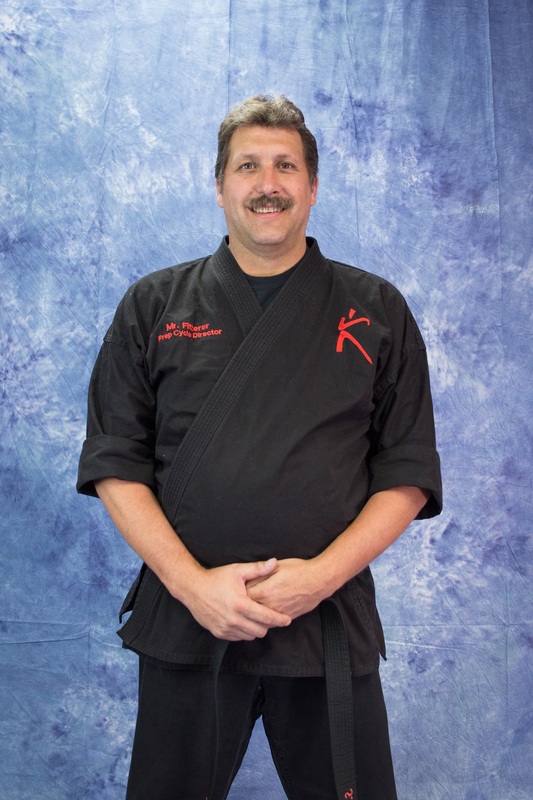 Robert is the owner and founder of 5280 Karate Academy with branches in Lakewood and Westminster, Colorado. He was introduced to the martial arts in 1985, when one of his daughters was being bullied in the first grade. She would come home with slap marks on her face. It was suggested by a neighbor to put her in the martial arts. Not knowing much about the martial arts, he felt that he would be creating another bully. However, he decided to try it anyway, and the bullying stopped. After about 18 months of watching class he decided to join with his two girls. In 1998, he began to seriously adhere to training and studying the martial arts, and was particularly drawn to the mental and spiritual aspects of the training. However, like most men with a passion of owning their own business he found himself embracing the idea of owning his own martial art school. He approached Stephen Oliver about opening his own martial arts school; he opened the door to make that happen. He is both proud and deeply honored to have been given the opportunity to open his own martial arts school in the affiliation with Mile High Karate. The goal was to bring the beauty of the martial arts to his community and those who choose to step on the path of his instruction. “We grew very quickly and were very successful,” he says. “I was very lucky in that I came in at the right time.” He teaches martial arts to students in after-school programs in Lakewood, Littleton, Denver, and Englewood, Colorado. This caused a huge influx of young children and adults to join the martial arts. Robert “Master” Lewis is a 7th Degree Black Belt, he has train with such notable martial artist as: Joe Lewis, Grand Master Jhoon Rhee, Grand Master Stephen Oliver, Grand Master Jeff Smith, Grand Master John Chung, and Superfoot Wallace. In addition to Roberts’s achievements in the martial arts world, he served two years in the Military; he also received his B.A., in Business Management, from Wiley College, B.B.A. in Personnel Management, from the University of Texas, and his M.B.A. from Regis University. For over 20 years he was employed in the restaurant industry where he held the position Vice-President of Popeye’s Fried Chicken, Regional Manager for Long John Silver’s, Regional Manager for Winches Donuts, and Assistant General Manager for Macaroni Grill. 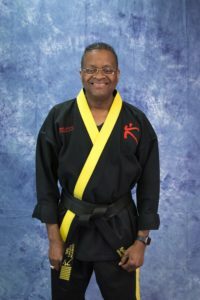 Robert “Master” Lewis teaches today out of the pure love he has for the martial arts, as well as the joy and satisfaction he receives from the students he work with. 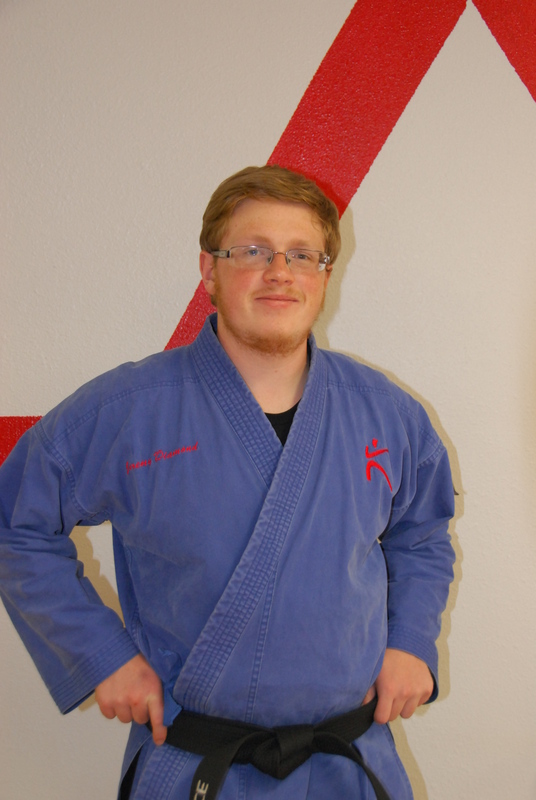 He plans on continuing teaching the martial arts as long as there are student interested learning. 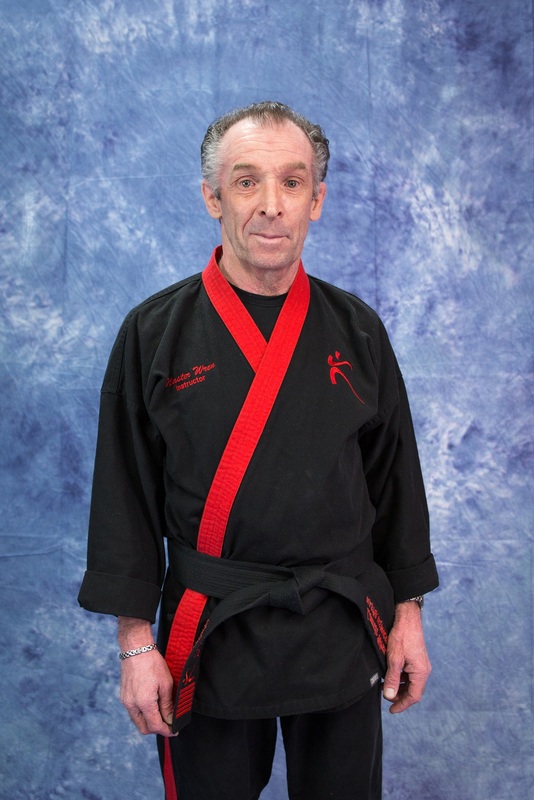 Grand Master French joins 5280 Karate Academy as an 8th Degree Master Instructor. He received his 1st Degree Black Belt on November 4, 1995 where he was training with Stephen Oliver’s Mile High Karate. His training included: NASKA judge, Prepcycle Coordinator, and a CDT Master Instructor. He also trained with David Cox in Jujitsu and Knife Defense and stick fighting. Master French served on the board Westwood College in the Criminal Justice Program. Since 1970 he has been working in the Civilian Law Enforcement. His duties include: Police officer for the City of Chicago, Sheriff Department for Jefferson County, and is currently working for the Department of Corrections for the last 23 years. Brandyn Lewis was born in Colorado and grew up in Aurora. Master W’s family moved to Lakewood shortly after his parents took over the Lakewood Karate Location. Brandyn began taking karate classes at the age of 3 ½ and received his 1st degree black belt at the age of 6 ½. 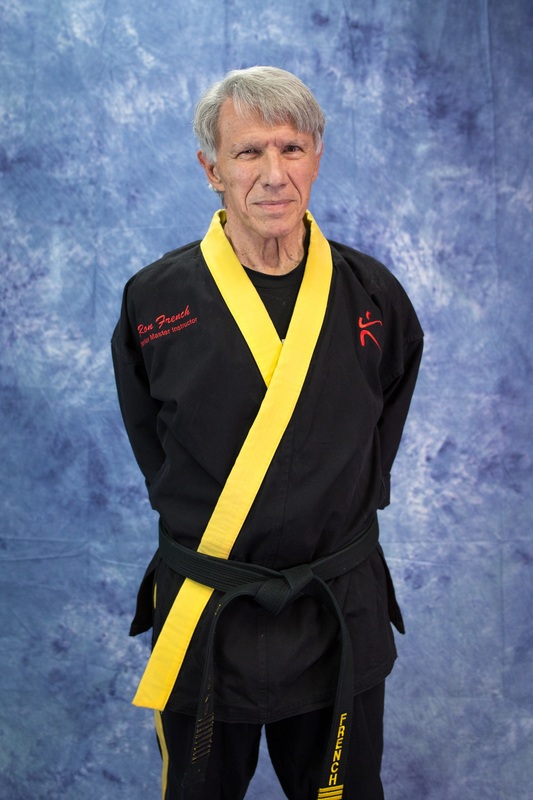 In October 2014, Master W received his 5th degree black belt, Master Instructor. Currently, Master W is attending College Penn State studying for Business Management. When Master W is not in school or studying, he is an instructor here at 5280 Karate Academy. Master Wren is a sixth degree black belt instructor at both the Lakewood and Westminster schools. He is also a second degree black belt in Okinawan karate. His weapon of choice is nunchucks. He has assisted with many prepcycles as well. Master Dial, a Colorado native, started doing tae kwon do in 2001 for the exercise. 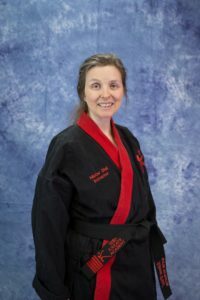 Fifteen years later as a 5th degree black belt, she’s teaching other black belts their curriculum and getting another black belt in Okinawan karate. Devin Arkfeld started training in Taekwondo in 2002 at eight years old, when he saw a flyer on his elementary school’s news bulletin. With 14 years of experience, four of which he has been instructing, Mr. Arkfeld is a 3rd Degree Black Belt, on deck for his 4th Degree in the winter of 2016. Alongside his training in Taekwondo, Mr. Arkfeld has explored other martial arts for several years, concentrating on Matayoshi Kobudo and Capoeira. Accustomed to the goal-setting and hard work required to attain the rank of Black Belt, he has also achieved the highest rank Boy Scouting has to offer – Eagle Scout. Currently, Mr. Arkfeld, at 22 years old, is attending college with a 4.0 GPA, in the pursuit of environmental engineering. 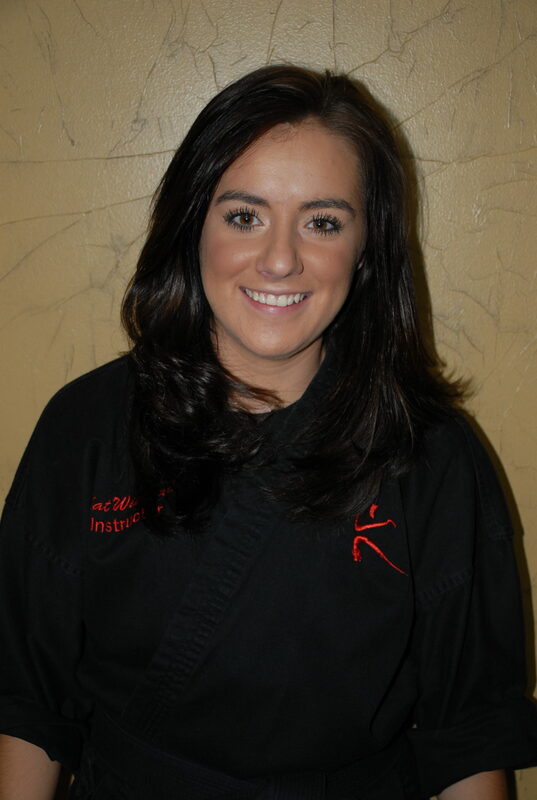 Ms. Wiegand is a 4th degree black belt instructor. 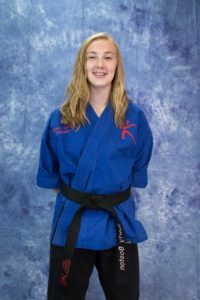 Brianna Herner started training with Grand Master Lewis at the age of 7 in 2006 alongside her older brother through an afterschool program. 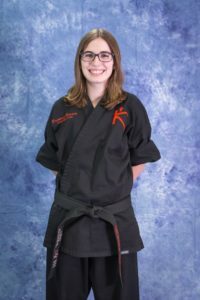 Their mom, Mrs. Herner, started training with them a few months later, and while Ms. Herner’s brother did not continue to train, the girls have been in the martial arts for over 12 years now. Both Herners are currently 4th degree black belts in tae kwon do and 2nd degree black belts in Okinawan karate. When Ms. Herner isn’t at the karate studio, you will probably find her doing school work or spending time with her awesome family, friends, and dog. 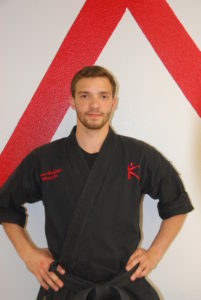 Mr. Fitterer is a third degree black belt instructor. Mr. Diamond is a 3rd degree black belt instructor. 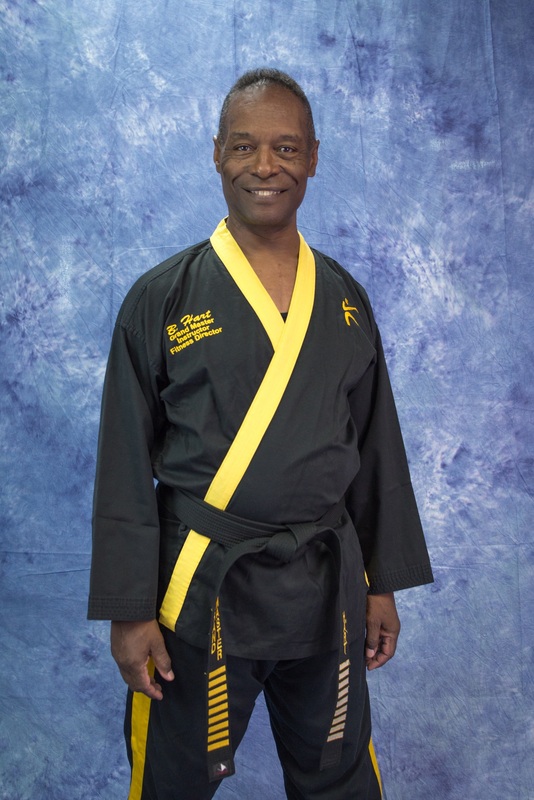 Liberty Boston is currently a 3rd degree black belt at 5280 Karate Academy. She has been at 5280 for seven years (as of 2016) and has treasured every moment. Over the past year Liberty has earned her 2nd degree black belt in the Japanese style of Okinawan martial arts. Outside of the studio she likes playing basketball, running occasionally, and enjoying time with her wonderful family. Miss Boston is 15 years old but is often mistaken for older. Liberty takes school very seriously and has maintained an A average throughout the years. When she is not busy with sports or school (which is quite rare), Liberty is spending time with friends and her two adorable cats. 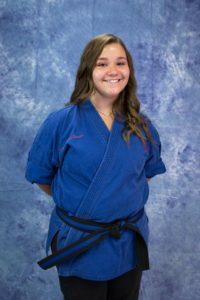 Because Liberty started martial arts when she was so young, 5280 has made an enormous impact on her life and helped her to become very successful in numerous ways. She has made many friends on her journey and can’t thank all of her instructors, friends, and teammates enough. Liberty Boston is truly blessed. 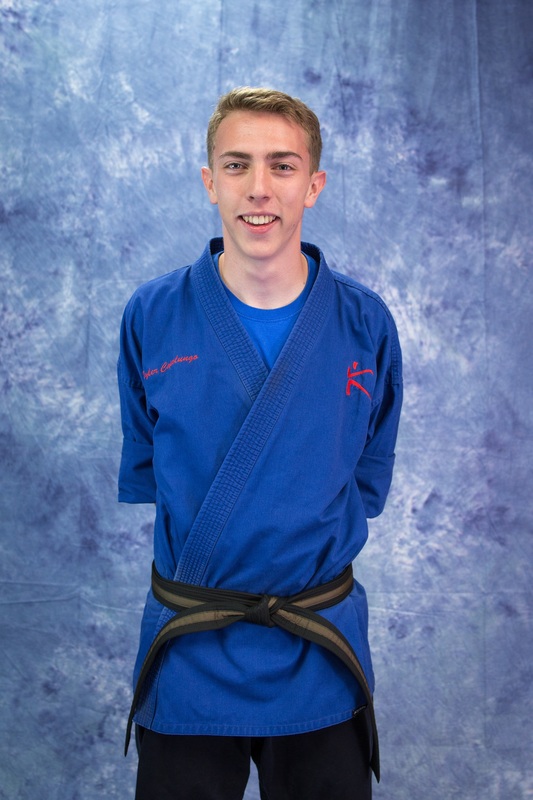 Tyler Capolungo started karate in an after school program with Master Lewis in November of 2011 when he was in fifth grade. After graduation from the after school program he joined 5280 Karate Academy immediately. 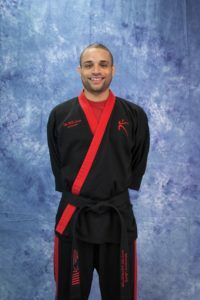 He instantly loved it and earned his certified 1st degree black belt even though he spent over a year off because of injuries. He is currently in the 12th grade at Green Mountain High School. Tyler’s very excited to be an instructor here and can’t wait to see what the future holds. Jasmine Sawyer is a junior at Columbine High School and is currently a 2nd degree black belt. She started karate through an after school program in the fifth grade. After she joined, she helped out with following school programs while working towards her first degree.